JUNEAU — Alaska legislators are so divided over criminal justice policy that they can't even seem to figure out a way to debate it. Amid a long-running fight over Senate Bill 91, the 2016 overhaul of criminal sentencing law, legislative committee chairs have refused to hold hearings on proposals to repeal it. They've also limited discussion on a proposal from Gov. Bill Walker that his administration says would fix a loophole in the overhaul — one that forces judges to release certain suspects from jail before trial, even if they have lengthy out-of-state rap sheets. That legislation, which has support from prosecutors and law enforcement, is one of eight different public safety bills proposed by Walker this year. None of them have passed, and members of Walker's administration are growing impatient with what they describe as partisan gridlock thwarting commonsense ideas. Most state lawmakers agree that they should make at least minor adjustments to Senate Bill 91. But their disagreement over the scope of those changes has confounded the Legislature's committee chairs. And those chairs have chosen to restrict debate rather than risk a politically sensitive, public fight over broader changes to the 2016 bill, or even a full-blown repeal. "I'm just not willing to add more fuel to that fire," said Sen. John Coghill, R-North Pole. "SB 91 has become the battering ram for all things poor in our criminal justice system. And I can understand that, but it's just not true." Coghill sponsored SB 91. He's also chairman of the Senate Judiciary Committee, where five of Walker's bills have languished since the start of the legislative session early this year. After a feud with some of his committee members, Coghill relented Monday, with less than a week before an initial 90-day deadline for legislators to finish their work. On the floor of the Senate, he took the unusual step of removing two criminal justice bills from his own committee — Walker's fix to the loophole, and a proposal to repeal SB 91 entirely. But he did so without a vote, or a final debate on amendments. In the House, meanwhile, all but one of Walker's public safety bills have been stalled in committee for three months. The Legislature has been fighting over criminal justice policy since the overhaul passed in 2016. The legislation, broadly, was designed to limit the state's reliance on jail and prison terms, which proponents said were expensive and ineffective at changing behavior. But the bill's passage came amid a rise in Anchorage's crime rate, including record-breaking car theft and homicide numbers. Some residents and lawmakers blamed the spike on SB 91, though experts said it was too soon to establish such a link. In the past year, pressure has been building to scale back the bill, or to repeal it. Walker, in October, convened a special session on crime that ended with lawmakers passing major legislation to reverse provisions of SB 91 and toughen many of the criminal sentences that the overhaul had relaxed. The special session bill, Senate Bill 54, was heavily amended at committee hearings and on the House floor. It reinstated the potential for prison time for a first conviction of petty theft. It added extra prison time to certain felonies if the crime targeted first responders or police. And it toughened sentences for the lowest level of felonies — crimes like car theft, selling small amounts of heroin or owning a place of prostitution. The legislation was 46 pages when it passed, up from the original, 16-page version that was based on recommendations from a nonpartisan state sentencing commission. But some elected officials and their constituents felt the bill didn't go far enough. One conservative faction of lawmakers is still pushing for a full repeal of SB 91. That group includes Republican Sens. Mia Costello of Anchorage, Shelley Hughes of Palmer and David Wilson of Wasilla, along with Republican Reps. Charisse Millett of Anchorage, Lora Reinbold of Eagle River, DeLena Johnson of Palmer and David Eastman of Wasilla. The repeal proposals face opposition from legislative leaders and appear to have little chance of passing. But Walker's administration wants more narrow adjustments to SB 91, at least one of which is supported by law enforcement and prosecutors. It introduced its package of eight criminal justice bills at the start of this year's legislative session — part of what the governor calls his "public safety action plan." Some of the proposals tackle issues unrelated to the 2016 overhaul, like background checks for aspiring police officers, prisoners' access to computers and the attorney general's power to restrict new types of illegal drugs. Others address what the administration describes as specific flaws in SB 91. 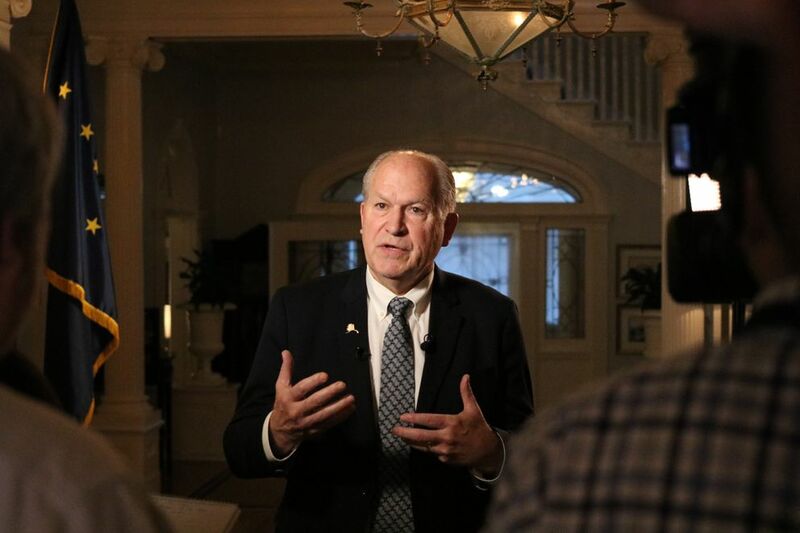 The highest-profile proposal, Senate Bill 150 and House Bill 295, targets what Walker's administration says is the loophole in Alaska's system for setting bail. Under SB 91, the state is trying to reduce the number of people held in jail before trial. To do that, it shifted the bail system away from one based on people's ability to pay cash. Now, pre-trial release decisions are guided by a statistical algorithm. The algorithm analyzes previous arrest records and convictions to help predict a person's risk of skipping a court date or committing another crime while they're awaiting trial. Supporters of the new system say it's an improvement because before SB 91, poor people could sometimes end up unable to make bail even if they posed a low risk of missing court dates or committing another crime. Wealthier people could get out of jail before trial even if they posed a higher risk. But critics say the algorithm has a major problem. It does not account for a person's criminal history outside Alaska. And the law bars judges from keeping defendants in jail before trial even when they have lengthy criminal histories in other states — as long as they're accused of a lower-level crime and deemed lower-risk by the algorithm. The Walker administration's proposal to give judges more flexibility is one of its priorities; the idea also has support from the Anchorage Police Department and the Anchorage district attorney. 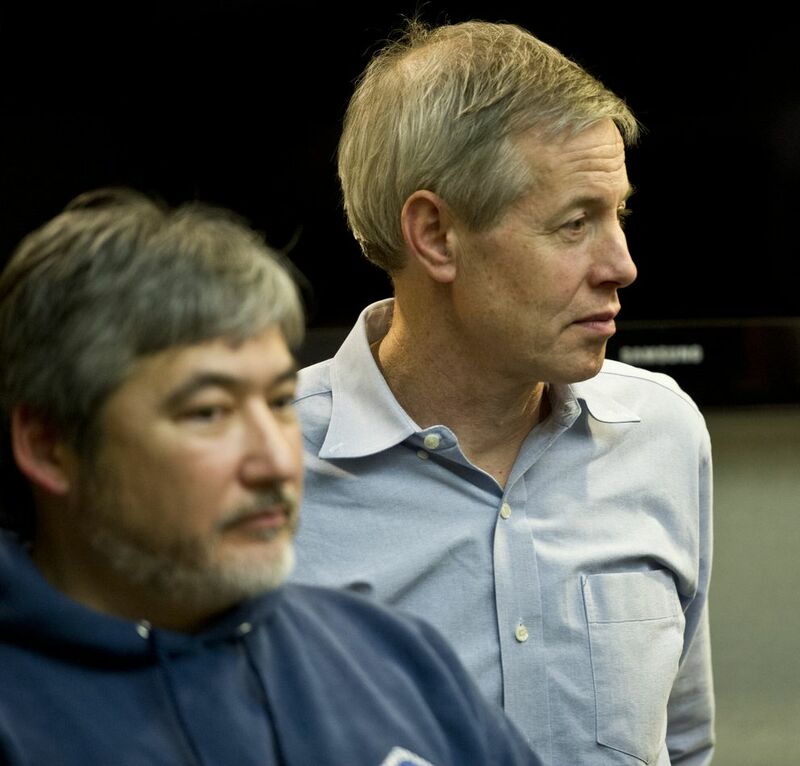 But the judiciary committees in the House and Senate, where most criminal justice bills are sent before floor votes, are chaired by supporters of SB 91, in Coghill and Anchorage Democratic Rep. Matt Claman. Neither has shown much interest this year in a public discussion of possible adjustments. Six of Walker's eight bills have been handed to Claman's committee in the House. Only the one to address police officers' background checks has emerged; Claman has not held a hearing on the others. Claman declined to comment for this story. 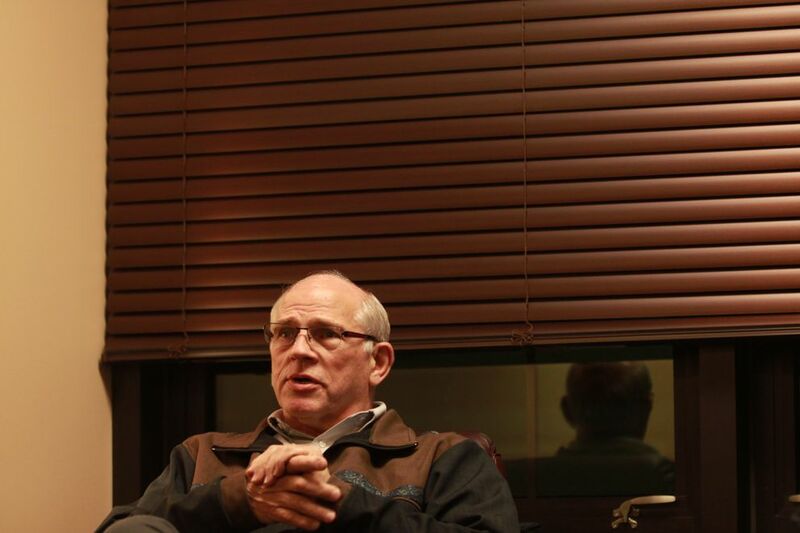 But opening discussions on the five remaining proposals would invite gridlock, according to another Democratic committee member, Rep. Jonathan Kreiss-Tomkins of Sitka. Other committee members who want broader changes to the state's criminal justice system could offer a bevy of amendments, he suggested. Kreiss-Tomkins has one of the governor's bills — the one to expand prisoner's access to computers — stuck in his own committee. "It's like any little bill has the potential to be one full week of 12-hour-a-day floor sessions," Kreiss-Tomkins said. The Senate Judiciary Committee faces a similar problem, according to Coghill, the chairman. The committee didn't schedule hearings on any legislation for the whole first month of the session. Since then, Coghill has refused to hold hearings on five of the seven Walker proposals that were sent to his committee. The sixth, the background checks bill, advanced out of the committee and over to the House. The seventh is SB 150, the legislation to adjust the state's bail system. Coghill brought up that bill for its first hearing in March, then started taking amendments at another hearing last week. 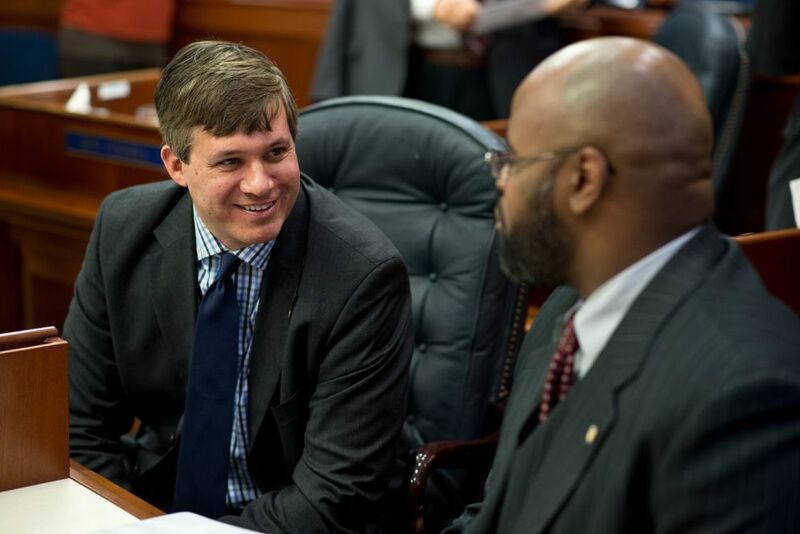 That's when Anchorage Democratic Sen. Bill Wielechowski, an SB 91 skeptic, proposed an amendment with broader changes to the bail system than the ones contemplated by Walker's bill. Wielechowski said his constituents are frustrated that the law forces judges to release some suspects before trial even if they have previous arrest or conviction records. But Coghill defended the new system, saying it's working well. He argues that defendants released before trial are being supervised by a new Department of Corrections unit, and those who fail to appear for court dates are being caught. Wielechowski's amendment was approved over Coghill's objections in a 3-2 vote, thanks in part to support from Costello — the Anchorage Republican senator who wants to repeal SB 91 even though she belongs to Coghill's own Senate majority. Immediately afterward, Coghill banged his gavel, stood up and left the hearing without taking a vote on Walker's underlying proposal. Rather than holding another meeting and reopening debate, Coghill took the unusual procedural step Monday of allowing the legislation to bypass his committee completely. He did the same thing with Costello's bill to repeal SB 91 after a similarly tense hearing over the weekend. In an interview, Coghill acknowledged he's afraid of what could happen if he allows a full debate on criminal justice bills — pointing to the way the proposed revisions to SB 91 expanded over the course of last year's special session. "The dynamics haven't changed," Coghill said. "What happens is you don't keep the conversation focused." Coghill said lawmakers do have to answer "tougher questions" about crime. But he suggested that the answers may not lie in legislative proposals on issues like bail and sentencing. "Do we have enough police or are we prosecuting at the right level? All those things have to be discussed," he said. Wielechowski, in an interview, said Coghill is stifling that discussion by refusing to entertain amendments or hold hearings on bills. "If there are myths out there, it's an opportunity to dispel the myths. Let the public know — if it's not SB 91, if it's other things, this is a chance to educate people about what's really causing the problem," Wielechowski said. "They're scared to death to have that conversation." Reinbold, who sits on the House Judiciary Committee, said SB 91's defenders are more fearful of amendments than they need to be. But, she added, public safety is her constituents' top priority. And legislative leaders and committee chairs have made the problem more urgent by delaying action on criminal justice bills until the end of the session, which is why SB 91's critics have to take any opportunities they can, she said. 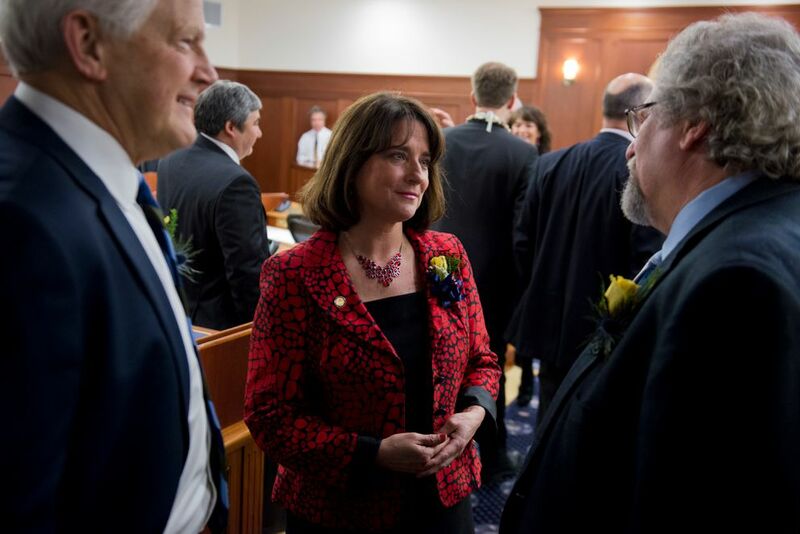 Reinbold even tried to amend the state's annual budget to eliminate the statistical algorithm, though House Speaker Bryce Edgmon, D-Dillingham, ruled her proposal out of order. With less than a week before the Legislature's initial, 90-day deadline to finish its work, Walker's administration is also getting impatient. In an opinion piece this week, two top administration officials criticized the House for leaving the administration's proposals stuck in committee. In an interview, Deputy Attorney General Rob Henderson said he doesn't want to wade into the Legislature's "internal workings" and declined to identify the source of the delay. But, he added: "We've identified these things that need to be fixed. They need to be fixed now. They need to be fixed this session."